You haven't seen Miami until you've seen it from The Rusty Pelican. Located in Florida on the Island of Key Biscayne the Rusty Pelican is the most sought after restaurant with a view in South Florida. 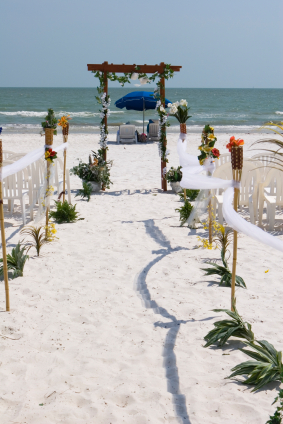 Nothing says Florida like a beach wedding. 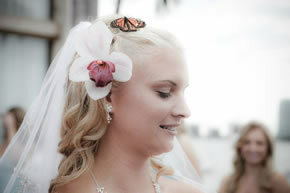 And Florida's west coast has many wonderful venues to choose from. The fine white sand of our Gulf of Mexico beaches will forever amaze you. Some of my favorite Gulf Coast venues are the Pink Shell Resort & Spa in Ft Myers, the Tween Waters Inn on Captiva Island and the Bilmar Beach Resort, Treasure Island, FL. When we ship via FedEX Overnight Priority within Florida we pass the savings on to our customers. You can expect us to refund up to $20.00 after your order is placed and FedEx costs are verified.